Satish Chandra Verma IPS officer Gujarat 1986 batch, who is presenty posted as IG CRPF, Ministry of Home Affairs, Government of India has been allowed to travel abroad by the Supreme Court of India. 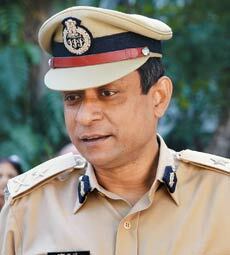 The Government did not allowed him to travel abroad due to departmental inquires against Verma. Even, his one of the pleas for seeking permission to travel abroad in Central Administrative Trubinal was also rejected on the grounds of departmental inquries against him.